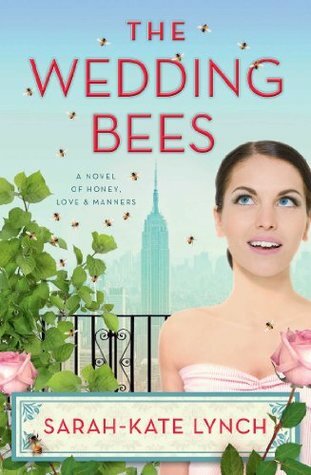 I was first lured into this book by the WilliamMorrow The Wedding Bees version that was published in January 2014. The one I read was published in 2013 by HarperCollins. At first I liked the WilliamMorrow cover, however as I read the book I came to appreciate the HarperCollins cover with its raised bees on the cover. So now I really like them both! Sugar is a wonderful character, she does have a history and this is gradually revealed. We find out why she is always on the move. She is a warm, caring character and seems to have a very positive influence on the people that live around her. She has a hive of bees that she inherited from her grandfather, there is a significant relationship between her and her bees. The bees have her best interests at heart, and have a lot to say about who she finally chooses to marry. Queen Elizabeth 1 and 6, and all the queens in between keep their eye out for Sugar and her feelings. We learn quite a bit of information about bees as we read, it had me stopping to search for some of the honey places mentioned. This book could sell a lot of honey! We meet the people who live in the same apartment building as Sugar in New York. What a motley cast of characters, but they are really like the family Sugar doesn't seem to have, and their community begins to move and change as Sugar interacts with them. While at first sight this novel seems light, witty and charming - I did like the way some issues are explored, I felt they were important and very well handled. The sense of values that came through further endeared me. A delightful read.